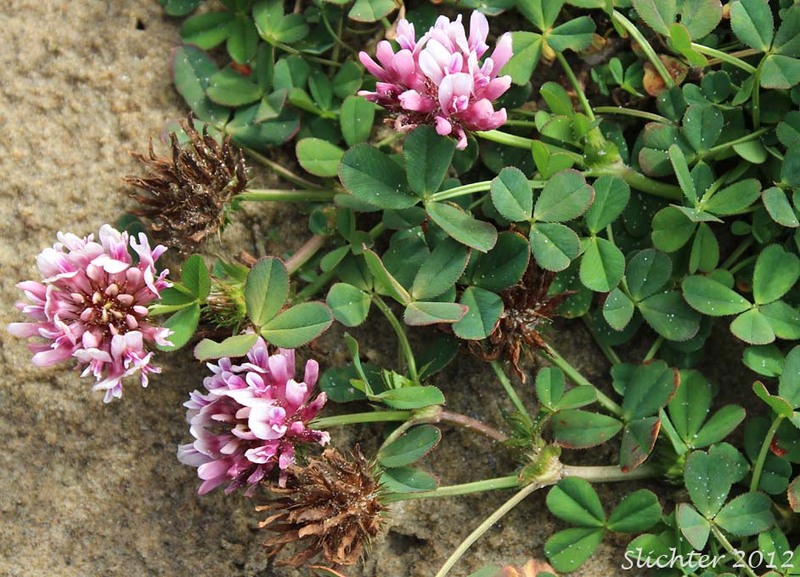 Springbank clover as seen in low places between dunes on Bayocean Spit in Tillamook County, OR................June 13, 2010. 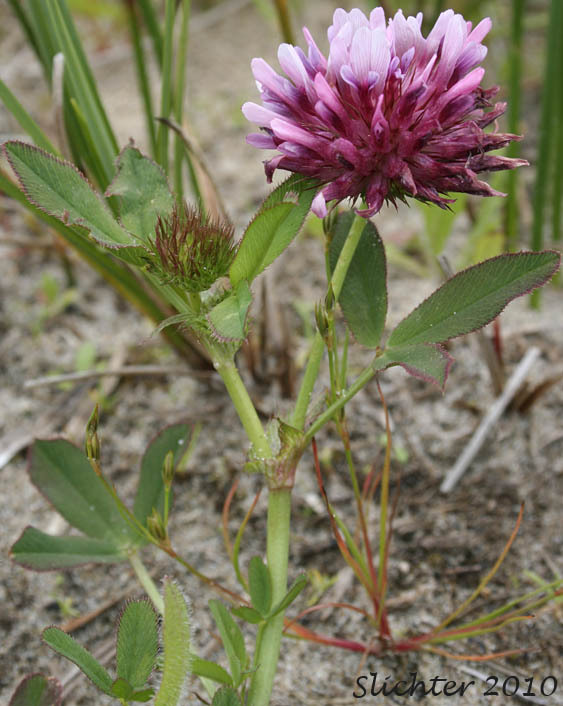 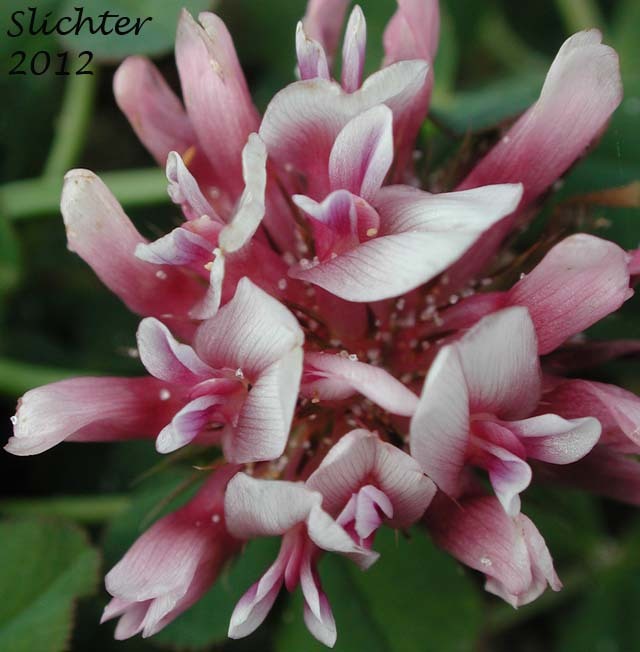 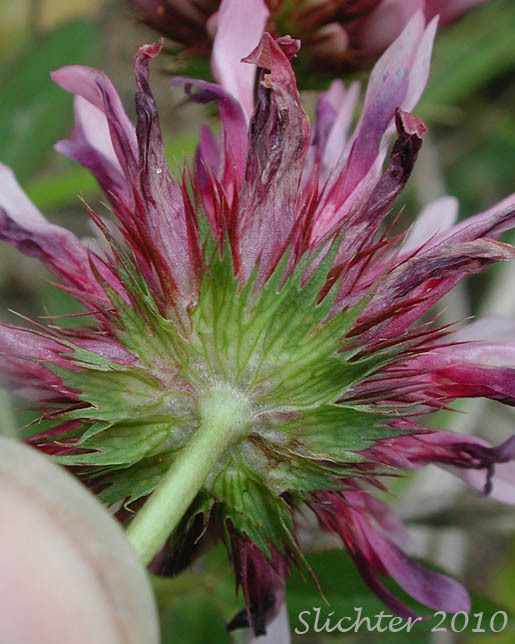 Additional close-up photos of springbank clover as seen in low places between dunes on Bayocean Spit in Tillamook County, OR.........June 13, 2010. 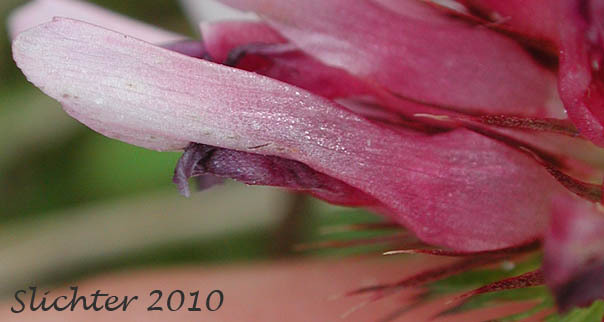 Note the large involucre subtending the inflorescence. 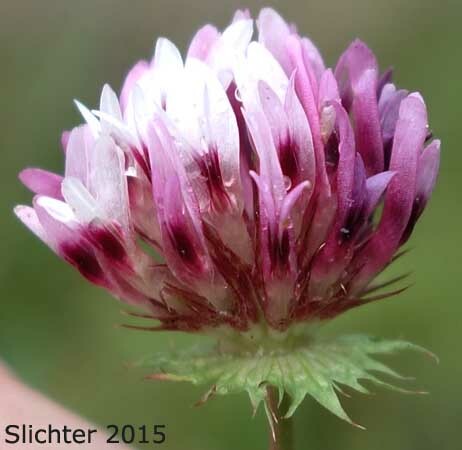 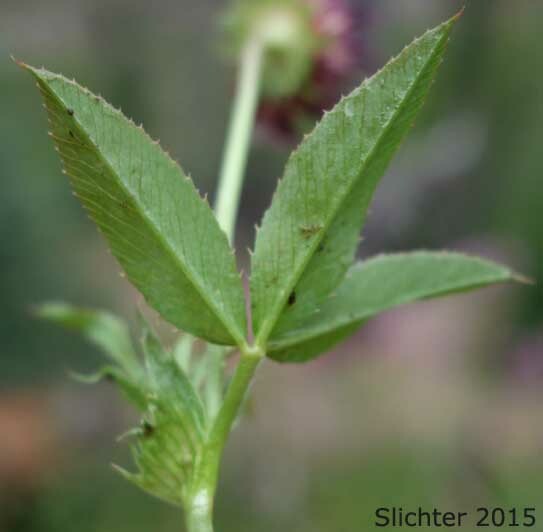 Springbank clover as seen in moist soils along streams crossing the Lake Creek Trail #378, Strawberry Mountain Wilderness.........August 10, 2015. 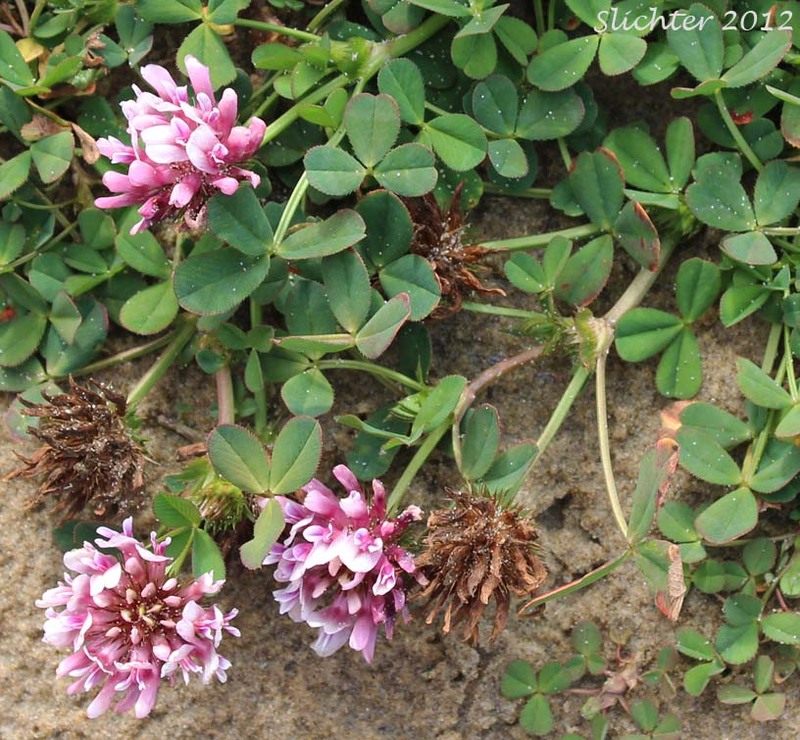 Additional close-up images of springbank clover as seen at the upper edge of the beach at Oceanside on the northern Oregon coast...........August 25, 2012. 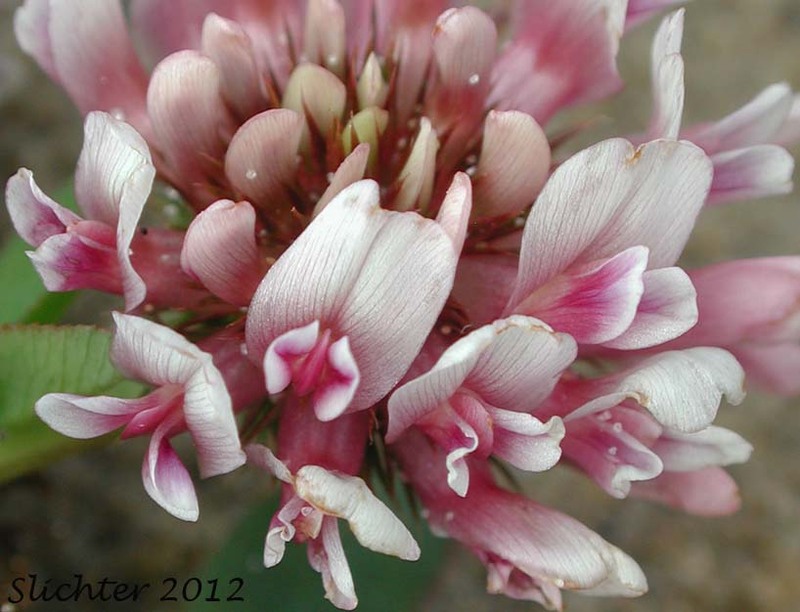 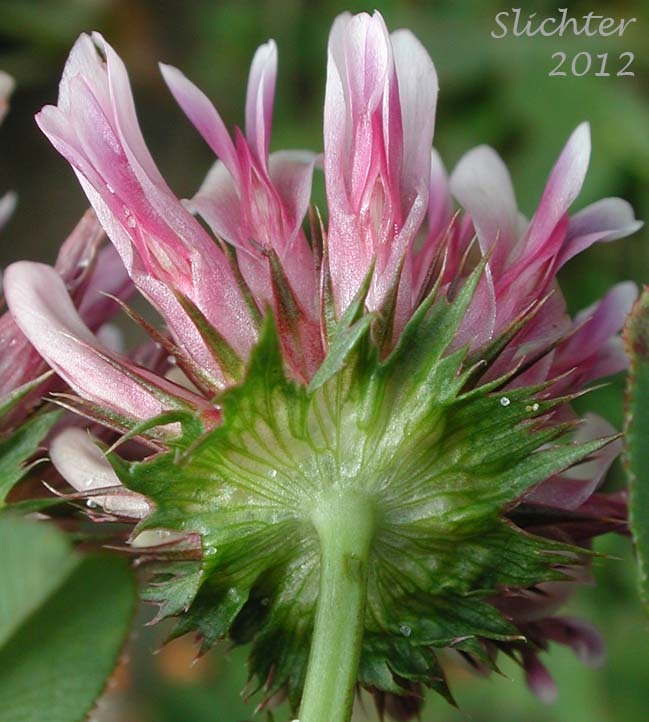 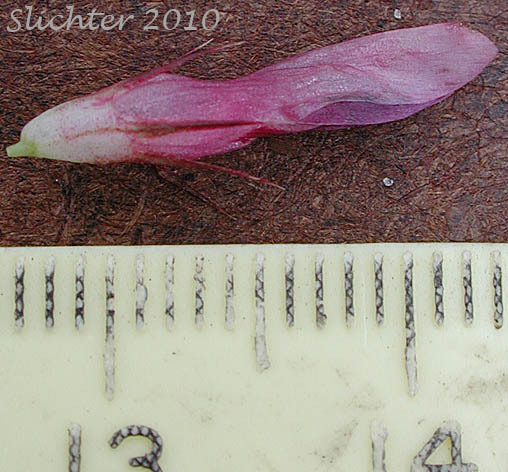 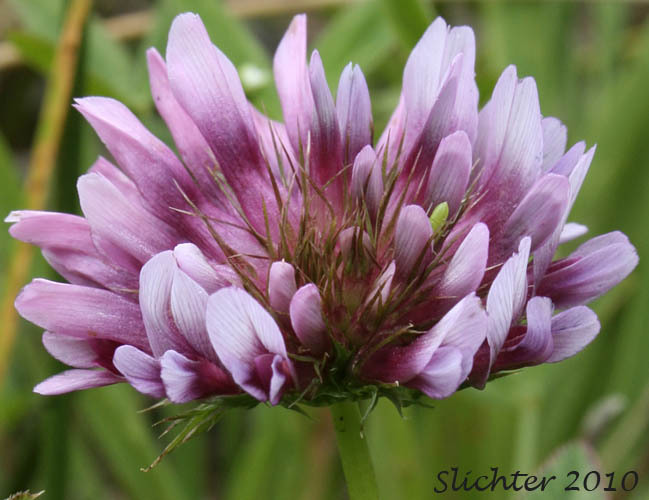 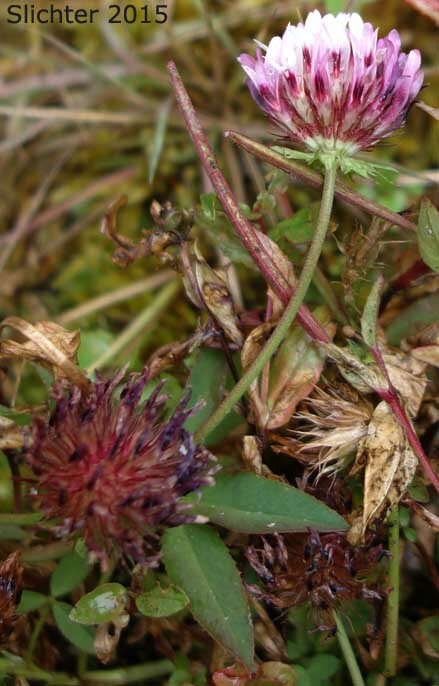 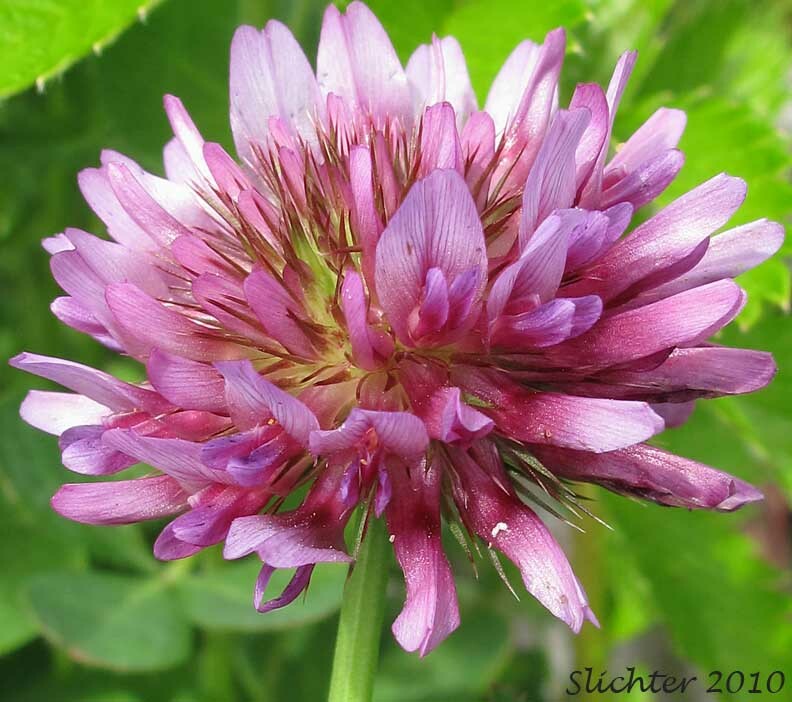 A close-up of the inflroescence of springbank clover as seen high on the beach at Oceanside, OR...........June 19, 2010.